Hello, my name is Husna Begum. I am a mother of a deaf child and I am also the chair for the Tower Hamlets Deaf Children’s Society (THDCS). My son Hamza was born with profound sensi-neurol hearing loss. He underwent surgery for bilateral cochlear implants aged 17 months. Previous to this, he had no access to sound whatsoever. Hamza is now 4 and attends a mainstream school with a Deaf resource Base, and is doing extremely well. His speech is coming along fantastically and so is his range of sign language. It’s when you see your child develop and improve day by day that you feel proud as a parent. You feel as though there is hope after all. I have had fantastic support from the Teachers of the Deaf in Tower Hamlets who have stood by and supported me and my son throughout his early years. I became Chair for Tower Hamlets Deaf Children’s Society in September 2014. I can honestly say that it has been challenging and exciting at the same time. Since September the THDCS have had a lot going on. 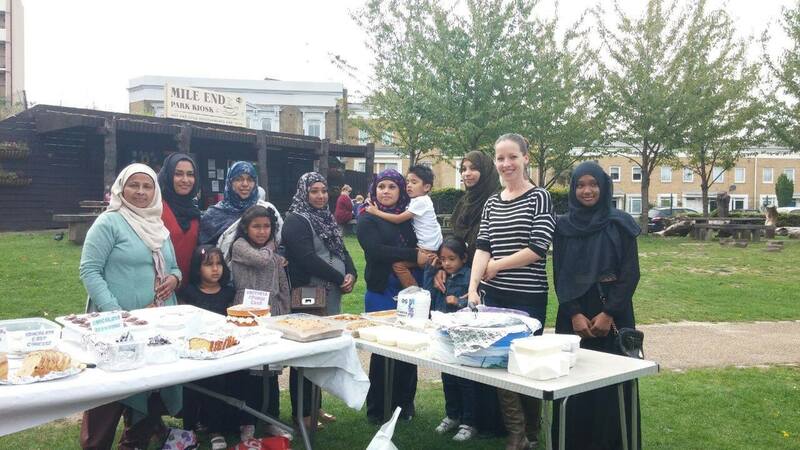 We organised our annual deaf picnic, which we held at Mile End Children’ Play park. The children and their families had a great time and we had a very good turnout. We had an entertainer, bake sale and much more. Our picnic event was written about in the East End Life newspaper. I have attended training days organised by the NDCS to make sure I am able to fulfil my role. However becoming Chair has not always been a happy event. We were shocked to learn that Overland day Nursery was under threat of closure/privatization by Tower Hamlets Local Authority. Overland day nursery is a unique nursery. It’s the only one that provides a resource base for the deaf/partially hearing children in the borough. The nursery provides the much needed early intervention to help support and maximise the children’s listening and speech and language development. Overland day nursery was attended by my son Hamza at the age of 22 months. During his time at the nursery he made a huge improvement in his listening and communication skills. He had picked up on a vast array of sign language and was able to differentiate between different types of sounds. He became a confident little boy and started to use speech. I was overwhelmed with his improvement, a child who never spoke, started to call me mum. As a parent it was the most memorable and beautiful moment. The staff at Overland are an invaluable asset. They are specialised in all things deaf related, British sign Language and knowing how to deal with hearing aids and cochlear implants. They provide support and empower the deaf children with a sense of belonging in the deaf community and integrating them with their hearing peers. The nursery is purposely built to meet the needs of the deaf children. The rooms are soundproofed and have good acoustics. All this is needed to maximise their listening potential. In a deaf child’s life this is a very sensitive time when their brain is ready to learn. If these learning opportunities are missed it will be even harder to learn these skills later on in life. My son had the best start in life and was given the opportunity to access early years support. I know that he can achieve anything. However, this may not be a possibility to others if the nursery is taken away. THDCS have been attending meetings and protests to help stop the proposal from going ahead. As part of our ongoing campaign I have started a petition, I hope you will show your support for this vital service and sign. This entry was posted in Campaigning, Education, England, Social Care, Stolen Futures, Uncategorized and tagged Campaigns, Cuts, early years, Husna Begum, Overland Children's Centre, Personal Stories, petition, THDCS, Tower Hamlets. Bookmark the permalink.